Hypnosislapband,virtualband,banding,hypnolapband….so what is it all about…and does it work…and if it works …how does it work anyways? I had a client in last week, who came to see me to Stop-smoking, because someone he worked with had seen me to stop smoking with great sucess and he came to me because someone he knew saw me for Hypnogastricband. 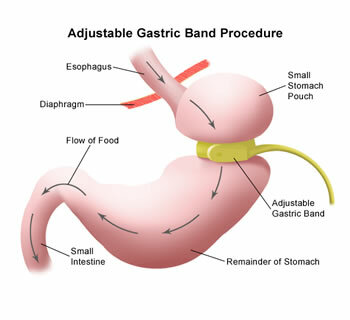 Word of mouth is my main staple 🙂 Now this new client, told me a remarkable story about that client who had hypnogastricband a few years before…that was incredible. You see , even after 20 years of working as a Clinical Hypnotist, with all the wows and amazement the powers of the mind has shown me…it never gets tired…there is still always another wow moment just around the corner…which proves the limitlessness of our own capabilities. So, this woman who had hypnogastricband, felt full, in fact she easily let go of weight and in total lost an amazing 60 kilos.But that isn’t even the most amazing part…you see , after just a few weeks of having had the “procedure” she had “symptoms” which prompted her to see her Doctor…they were: re-flux, burping,slight constipation from eating significantly less,low tolerance for more than minimal food solids and slow sipping of liquids,and just a very slight feeling of being tired.The Doctor looked at all of her symptoms and knowing her well asked if she had any surgery she hadn’t told him about as all of her symptoms mimicked someone who had undergone stomach sleeve or band surgery.The client then explained she had had hypnosislapband…her Doctor…was simply, amazed. Now understand these are powerful results and most people fall into a range of symptoms between controlling their eating, feeling full, and having a mental sense of their experience to the other spectrum of fully and completely Feeling as if the surgery has occurred.Its a powerful result…and Ive seen other powerful cases. One woman I worked with had essential tremors…we were able to convince her subconscious mind she had a disc placed between the electroneurons that fired causing her to tremor ,blocking them and therefore minimizing the tremors. So if within the content of a Clinical setting these results are constant and consistent…then out there on our own…i wonder what we are doing…on that autopilot response to positively or negatively influence our physical body…or our emotions…or our approach to the world we live in. Be very aware of the environment you allow yourself to live in, experience, absorb through your sense…because your environment is as contagious as the common cold.And remember…your subconscious mind…is always listening. You are powerful…Hypnosis when done by a Clinical , qualified practitioner…can create instant, long lasting powerful changes.